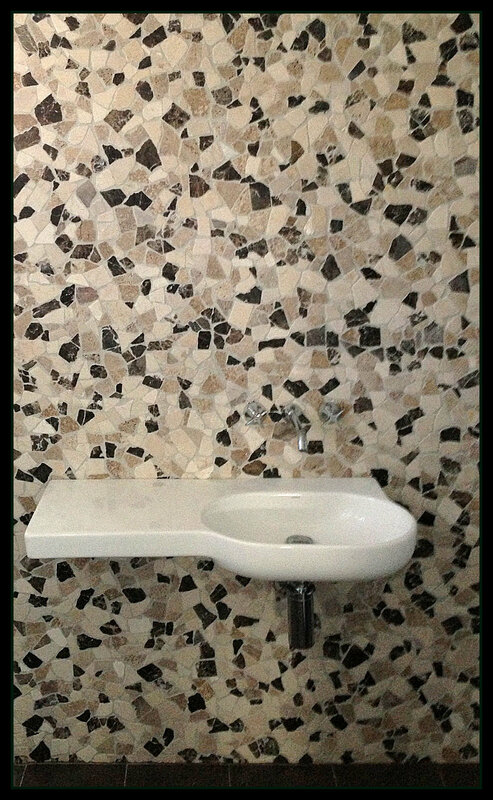 Marron Emprador, Royal Botticino and Travertine Noce Mix in Random Shaped Natural Marble Chips fixed on Mesh backing. 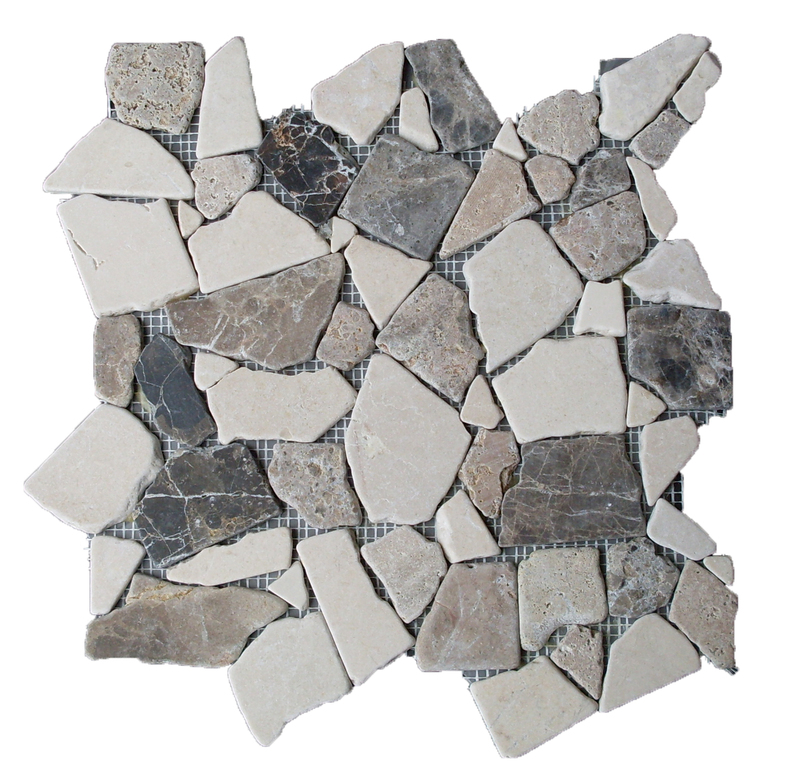 Tumbled finish. Used as a feature. Suitable for splashbacks, walls etc.